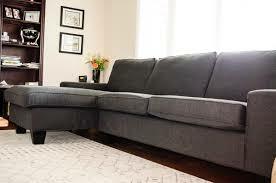 Kivik Sofa Review - Ikea Comfort and Style - Worth the Hype? / Kivik Sofa Review – Ikea Comfort and Style – Worth the Hype? Kivik Sofa Review – Ikea Comfort and Style – Worth the Hype? The Kivik sofa has created quite a stir with a lot of people and has mixed reviews online. Now certainly home furnishings come down to personal preference, but you always want to know about the quality, durability and features of a piece before you buy it. Well look no further because we’ve got all the key info about the Kivik sofa right here. 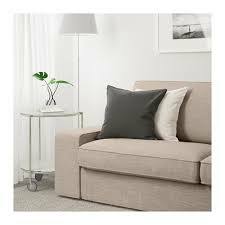 In this Kivik sofa review guide you will learn all about Ikea's Kivik sofa, the quality of this sofa, and the warranty policy. The Kivik collection has been created, designed, manufactured and sold by Ikea. Now everyone should know who Ikea are (if not then you probably don’t worry about furniture for that rock you live under). Ikea are the international standard in furniture. They opened up the furniture market for those with a limited budget, making simple furniture which can be built by an individual at home. Ikea are more than just budget furniture though. They have a massive, ridiculously massive, range of products which they host or even design themselves. These are made to be innovative and stylish as well as practical in the home. The Kivik sofa is one of those product ranges. Kivik is a line of sofas that Ikea host which have been designed to be ultra comfortable. They’re made to emulate the other more expensive brands while retaining a lot of their key features. They’ve become one of the most popular items stocked by the global brand and can be seen in thousands of homes. The first thing you might think about the Kivik sofa range is that they aren’t all that to look at. 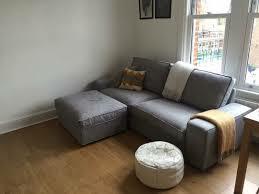 They’ve been designed to look fairly plain and flat, in fact they look exactly like a stereotypical sofa. Now there’s nothing wrong with that but it may not blow you away. The strength of the range is in their comfort. Is the Kivik Sofa Comfortable? The Kivik sofa has been designed with comfort and relaxation in mind. The Kivik is built to be big. They offer the choice between a 2 seater or 3 seater, each with a lot of room to fit extra people in, especially kids for family homes. They feature wide armrests which are perfect for perching or just stretching out on, plus they’re low to properly support your arms. The cushioning on the Kivik sofa is all memory foam. This magical material contours to your unique body shape, providing comfort that is tailored for you. 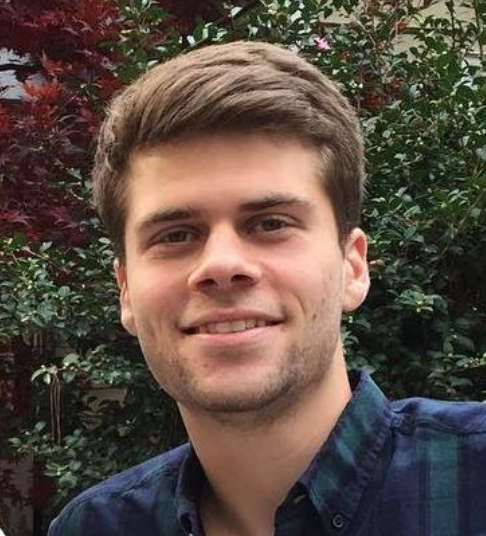 It’s already popular with mattresses and is making its way into the upholstery market. Everything about the Kivik sofa screams comfort and accessibility. It’s perfect for a spacious sprawl on a sunday afternoon where all you want to do is chill out and maybe even nap. Ikea are pretty much furniture masters and know how to produce everything well, but they’ve certainly shown they know the customer with this product line. They provide comfort for you and your family, allowing increased relaxation in your home from the stresses of busy life. If you are looking for even more relaxation, check out some recliners that are great for sleep and relaxation. The Kivik sofa range has been built with a unique style. As I said earlier they aren’t exactly the most outrageous pieces, in fact they are fairly generic in their look and certainly don’t seem like precious works of art. But the simplicity of the sofas is something that grows on you. They have a bold, unintrusive quality which lets them blend into any room, but still add something to it. The relaxed large feel to them makes every room seem more comfortable and relaxed. There are a range of colours and materials available with the Kivik sofas. Generally speaking people tend to prefer the more neutral colours of cream and light blue because they work in more rooms, but there are some distinctive options too. You can also customise the fabric from a few different choices, this allows you to alter how the sofa will feel for the user. Overall the Kivik is simple, but effective. The style won’t blow you away but it’s still nice to look at and works in a lot of different homes. Ikea put a lot of work into their products to make sure they’re suitable to use. They have countless engineers and experts who create and review the specifications for every single product, ensuring that it will be well built and durable. Each of these have been very deliberately chosen to ensure a well rounded sofa which can stand up to wear and tear. The Kivik sofa is also made to be longer lasting. With hardwood in the frame and durable cushions you shouldn’t see a decline in the condition of the unit over its lifespan. Durability wise I think this sofa compares to Hm Richards sofas. Ikea’s business model is built on mass production and even though they’re one of the best at what they do, it’s still no competition with traditional handmade American furniture. That being said the materials used and well sourced and the manufacturing methods are state of the art. The result is a solid and sturdy sofa which should last a good amount of time. Ikea stands behind it’s Kivik sofa collection by offering a 10 year warranty. This is a pretty solid warranty, a lot longer than some other furniture makers, and shows their faith in the build quality. The warranty covers all material defects and workmanship but make sure to read the warranty information carefully when you’re purchasing. “A year later, they still look brand new.” - Dana W.
“The Kivik sofas have proved as comfortable as they seemed in the IKEA showroom.” - Gavin B. In fact a lot of people seem genuinely surprised that Ikea have made such an impressive sofa. It has all the qualities of a much more expensive piece and is lasting longer than they predicted. There are some criticisms of the products though. Chiefly people don’t like how the cushions aren’t made to be flipped and that there are only a limited number of shapes and styles available. Overall the feedback is remarkably positive for the Kivik sofa range with a lot of happy customers. Kivik sofas certainly aren’t for any furniture connoisseurs out there. Those people who want each piece of furniture to have it’s own unique story and be the centrepiece of the room would certainly be disappointed with the Kivik, because that’s not what Ikea is generally about. If you are looking for something that is more unique then checkout the Eames lounge chair which is known for its quality and style. Instead what you see with the Kivik range is a line of well presented, well built and very relaxing sofas that look great in your home and feel awesome to sit in, with comparable being Elran sofas. They’re made for those with families or those who live at home and are well suited for any type of home. 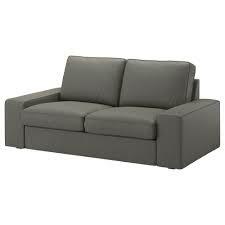 The Kivik sofa provides some great value by having a lot of awesome features without a hefty price tag. Ikea might be one of the more budget brands but they’re still reliable. 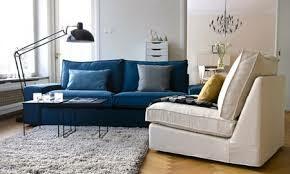 So if you’re looking for an affordable and simple but stylish unit then the Kivik sofa range may well just be for you.